A cataclysmic event plunges the land of Thedas into turmoil. Dragons darken the sky, casting a shadow of terror over a once-peaceful kingdom. Mages break into all-out war against the oppressive Templars. Nations rise against one another. It falls to you and your party of legendary heroes to restore order as you lead the Inquisition, hunting down the agents of chaos. Bonds will form - and some will break - as the campaign for truth takes its toll. Oi, what a stinker. I wonder why Andromeda got the outraged fan reaction when DA:I was an even worse game on almost every front. If I wanted to do MMO quests, I'd play an MMO. Pretty graphics though. A more solid return to what made the first Dragon Age great... but also a good example on how giving more lengthy game content doesn't in and of itself make a good game. 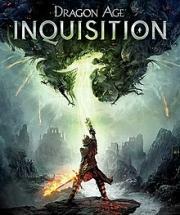 Decent, but once again the characters aren't as engaging as the first Dragon Age. It's an alright stand-alone game, albeit a certain spec (Enchanter, I think) is so completely broken I was playing the game solo after dismissing my entire party, and winning. Fun, but didn't draw me in enough to feel like I wanted to finish it. This is the real disappointment, not Dragon Age 2. They answered to the critizism in the bad way. DA2 too short? let's just fill the game with fetch quest and dull side quest! DA2 was too much closed in a city? let's create a bunch of(well created) areas but where there is nothing to do besides... fetch quests. And this one it's really console-friendly! free potions, an horrendous tactical camera, and they erased the party tactics for no reason. The best moment for me was to see Morrigan again. Repetitive missions are an allowable side effect to a fun and involved story and numerous side quests you can get lost in. Not the achievement the first was but still a great game.